So any support from your upline is welcome. Especially if that upline includes heavy-hitters earning multiple six figures and more. In Amway, some of the best support comes through World Wide Dream Builders (WWDB). World Wide Dream Builders is an internet marketing organization affiliated with MLM giant Amway. 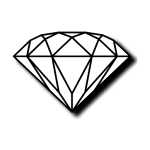 Created by a Diamond distributor, it aims to fast-track new distributors’ journey to Diamond. It’s not completely selfless, though. In any endeavor, once you’ve figured out how to do something incredibly well, you can make even more money teaching other people how to do it too — and the profit potential is unlimited when you’re talking about online training. The real question is whether you should get involved with WWDB. That’s for you to decide. Keep reading for all the details. 1. What does World Wide Dream Builders sell? WWDB sells motivational and training products to Amway distributors to help them sell, recruit, and hopefully rise to the rank of Diamond. Products include motivational tapes, CSs, audio files, reading material, seminars, and events. Other services include CommuniKate, which gives toll-free access to a virtual personal assistant who coordinates phone calls, voicemail, email, faxes, etc. 2. What are World Wide Dream Builders’ most popular products? The membership aims to take your Amway business to 6 or 7 figures, and that takes some serious mindset shifts and new habits. That’s probably why the basic “Standing Order Tape” is so popular. You get unlimited access to listen or download from an entire audio/video library, including “approved for prospects” audios that can be sent digitally. 3. How much does it cost to join World Wide Dream Builders? Premier membership is $54.95. 4. Is World Wide Dream Builders a scam? No, WWDB is an approved provider of Amway training and education. It provides support and training from successful Amway distributors to new or struggling Amway distributors to help them achieve success. Be aware, there’s not a lot of information freely available online, but this organization is part of the Amway universe. Which means most of the information is going to be shared inside Amway, not online. 6. How long has World Wide Dream Builders been in business? Since the 1970s. 7. What is World Wide Dream Builders’ revenue? This information isn’t available online. 8. How many World Wide Dream Builders distributors are there? This information isn’t available online. 9. What lawsuits have been filed? We didn’t see any lawsuits mentioned online. World Wide Dream Builders has done a few things right, but there are still better ways to make passive income. Either way, here’s the full review on WWDB. Amway is the #1, long-time reigning champ when it comes to direct sales. Call them the Michael Phelps of MLM. If you take a look at the top MLMs in the world based on revenue, the numbers speak for themselves. Amway is —and has been for years — in the first position. They bring in $8.6 billion in annual revenue, while #2, Avon, isn’t even close. They sit at $5.7 billion. So, it makes sense that when you have a corporation that huge, it’s going to have some popular offshoots and copycats. Well, Amway has hundreds. In fact, they have so many, there’s a name for them: Lines of Affiliation (LOAs). These are business support systems that successful Amway distributors started in which they use the methods from their own success to train and motivate new Amway distributors to follow in their (6-figure) footsteps…all for the low, low price of $54.95. These guys built their own MLM off the side of another MLM, basically. Worldwide Dream Builders (WWDB) is one of those LOAs. In fact, it’s the largest, most successful LOA. WWDB was started by Amway legend Ron Puryear. This guy started with Amway wayyy back in the early 70s, and he managed to hit it big. It only took him 4 years to move up to Diamond, and before he knew it, he was pulling in 6 figures. Naturally, people began to notice him, and he’d taken to teaching others his methods for success. So he decided to make money off this by starting WWDB. Using his WWDB program, he’s grown his own prodigies: his organization at Amway now has over 500 Diamonds. How much does Worldwide Dream Builders cost? It costs $54.95 per month to join WWDB as a basic member. However, there are some additional fees you’ll need to pay in addition to your membership, and they’re a little hidden. I’ll spell them out for you. Communikate – $36.95/month. This is the communication system they use. Without it, you won’t be able to partake in any of the benefits of being a member. A basic subscription to training CDs and audio – $25/month. Without these, you might as well not join at all, as they’re the bread and butter of the company. So, it’s closer to $112 per month, bare minimum. On top of this, there are lots of extra training kits, events, and educational programs you can purchase that can add up to over $250 a piece. Plus, you have to sell around $300 per month to qualify for commission. This is in addition to whatever you’re paying Amway to sell for them. WWDB sells the dream of striking it rich with Amway. They do this in various formats: eBooks, audio files, CDs, and presentations. They also sell training events in various cities around the country that cost a pretty penny. They really sell distributors on these events, convincing them that attending in person is the only way they can make real money. Those costs add up fast. Their basic subscription costs $25 and gets you unlimited access to listen or download files from their audio/video library, including “approved for prospects” audios that can be sent digitally. Purchase of CDs is optional at a cost of $2.50 each. The local training seminars are typically $15-$30. “Open” Business Overview presentations are $15 for the business owners, free to guests. Known for having one of the most unique compensation plans in the industry, WWDB really makes their distributors work long, hard hours and go hard with the Facebook spamming in order to see any results. That’s because they work on a compensation system that requires you to build up 6, (yes, SIX), legs, all at once. Just to qualify for a bonus, you’ve got to hit 300 PV yourself and then get all 6 of your legs to hit 100 PV each. That’s not all. In addition to getting all six to sell for you, you’ve also got to get half of them to attend those expensive in-person events, and 5 out of 6 have to be purchasing the monthly standing order of audio files. On top of that, your legs will break away when they hit 7,500 PV, and you’ll have to start all over from scratch. It sounds crazy, and it is. But you do see some good rewards if you can make it happen continually. You get 30% commission off your active legs, and even after they break away, you still see 4% residuals for life. Don’t expect dream building to come easy. You’ve got to put in some serious work to do well with WWDB (along with some serious cash). This is all on top of the time and money you’re investing into Amway, which is likely already way too much. Can you get rich off Amway and WWDB? Highly doubtful. Nothing against the company, but 99% of MLM-ers aren’t making any money. Well i was looking from a more non subjective view on WWDB but i guess i found this. Much of what you said isnt true. Especially about marketing on facebook or any social media platform. They never tell you to buy the material to become successful. They actually tell you to honor partnership, (communikate), Read daily, listen to Recordings (Free), and talk to 6 people a day (Free). You are right about the $122 a month, but the $300 you spend from Amway should be on products you buy from the grocery store or need monthly anyway. With spending $300 of your money, to your own store, does that mean you get the % commission of your money spent sent back to you? I’m going to start this off by saying I work with WWDB and my coaches and mentors have absolutely changed my life and I am extremely grateful for everything I’ve learned from them. Some of the information in this article is correct but a lot of it is misleading and biased, it is true that it costs $112 to build this business every month. It costs me $112 a month to build a multi millionaire business all while doing it debt free. I’m now 1099 and get to write that off for taxes as well as part of my living expenses and a whole bundle of other things. I would choose that any day of the week vs going into thousands of dollars of debt to build a traditional style business. Now take into consideration that I have a mentor with success in all areas of life I would like helping me do what he has done. He has helped me get debt free and put money in the bank, earn more at my job, be a better partner to my wife, forever changed me as a person, and is in the process of helping me retire from my job before age 26. If you want to talk about percentages I should also mention that the divorce rate is about 2% for the couples that are in this business. This organization is an absolute powerhouse that is all about mentorship and leadership and if you commit to what we are teaching and actually apply mentorship in your life there is no reason you shouldn’t be able to walk away from your job over the course of 2-5 years. 2-5 years vs the traditional 40-50 year plan of staying at a job, you would have to have an A+ in bad math not to pick the 2-5 year plan. I could go on and on because I have been around these guys for long enough to fully understand the organization and how to build the business, not just take one look at the business like JP here and think I know all about how it works. I’m building my business not because I enjoy the dinamics of how it works, I’ll tell you right now this business was not for me but it has the results in life I’m looking for, complete control of time and money. If you’re of the right mindset and truly are looking to do more with your life and are not going to have me try and sell you or convince on anything I’m doing here is a link to my website, http://qualityconsumables.mychoices.biz/Home.aspx My contact info is on there and I’d be happy to help. I want to hear about your multi-millionaire business. If true, I’d love to fly you out and conduct interviews. You realize Amway & WWDB is not the only way to not have to have a job right? This is 2018- why on earth would you be a part of a business that requires you to be in person so frequently if you’re desiring financial AND time freedom. You have to do all the meet and greets and follow ups IN PERSON, go to board plans IN PERSON. You’ve technically just worked to become a night time contract worker. Doesn’t meant your upline aren’t amazing people and haven’t helped you, BUT you will never gain time freedom in that business. financial interference at our place of employment. is one that should be avoided at all cost. I’m sorry to hear you had that experience. Unfortunately, just like you get a bad employee hire sometimes, we also let somebody into the business from time to time that doesn’t really belong there. Or maybe is just starting out and hasn’t developed appropriate people skills yet. Just keep in mind that those people do not resemble the broad majority of individuals and couples who are working with others in the Amway business using the Worldwide Group process. Its so amusing how your ‘meet the author’ begins with “not a hater” but Clearly you spell out everything negative about Amway let alone WWDB. Clearly you haven’t built the business. And clearly you don’t understand the ethics and experience it takes to build a business. With a subway shop it takes nearly 3-4 mill just to start up and you’ll be working there non stop/ no days off to get it off the ground and that’s not including the pain of employees calling in or quitting.. Even if there is a way to create fast track cash flow like many of these online investments that exist today, what good does it do if you do not have the credible source to build a trusting partnership with that will be willing to invest, guide and mentor you to grow more? Also, if you’re going to post this at least put your entire name, what you’ve built, what your success rate is, what your net worth is, why you’re credible, why your readers should trust you and your source.. I do just want to apologize on whatever negative experience you have experienced with MLMs let alone AMWAY or WWDB that you felt the need to “warn” others in this negative fashion… Evidently you ran into the wrong people and they mightve not modeled AWAY/WWDB correctly.. Id encourage you though to think about the shower.. Just bc you’ve had a bad experience with showers slipped and fell DOES NOT MEAN that every shower you take is bad and to stay away and warn others…It was a bad experience and not the fact of a shower. Fair enough, but I can practice free speech, right? Hahaha I loved this thread! I loved it more when they are demanding your name and such and you say: Jeremy page . I appreciate the comments from those that have actually taken the time to post comments here that are actually involved with World Wide. Until you actually spend time working with the fantastic people in the organization you really have no idea how to describe WW. I find it funny that you claim to be able to help network marketers build a real business and then you refer to network marketing companies as a pyramid. You obviously have no idea what you are talking about. Amway is not nor has ever been a “pyramid”. You are thinking of a ponzi scheme when you refer to a pyramid. That is what Bernie madoff did and is in fact illegal. There are certain requirements necessary to have to be a Ponzi scheme or illegal pyramid. You have to have people paying money on promises of a return, usually cash. Amway and other legal MLMs actually have product you get in return. An illegal Ponzi scheme or illegal pyramid also does not have room for advancement unless a person above you quits or dies. Amway and othe legal MLM are actually ladder shaped. If you put in the work you advance. I can outearn my upline if I want to work harder. In my line of sponsorship that has happened with several people. You can choose to move at your own pace. Amway is actually the company that the Federal Trade Commission used as a blueprint for investigation in the 70s. They found nothing wrong with the business model and since then they use the Amway model when a new mlm pops up for legal comparison. You JOB is actually the biggest pyramid on the planet. It is a legal one but it is more of a pyramid than Amway or WWDB. I could take the time to try and explain it but all you need to do is go look at an org chart and it will tell you all you need to know. I have discovered that the people that insist this is an illegal pyramid are simply uninformed or intentionally ignorant. Either way a simple investigation from credible sources, aka not blogs, will allow you to find the truth. The reason that the “success” rates are so low in my opinion are due to the fact that most people are not willing to put in the work necessary to build a successful business. Not sure who you’re ranting to (the author?) but I agree, MLM is much better than a regular job. I’m happy that there are people who have gained financial freedom from this but in all honesty it’s a pyramid and no matter what I am still having to “work” for someone else because who ever sponsors me gets the benefits of my hard work also. Maybe I don’t fully understand how it all works or maybe I’m ignorant……either way I myself am not interested. There’s two types of people in this world . Positive and negative. When you’re truly positive you will get positive experiences more than negative and vise versa. JP I appreciate your non combativeness when negativity swamped through. I have been in sales for a min. There’s SEVERAL WAYS to make ALOT OF CASH.. all involve working harder than most even at an hourly job. Very rarely does a company offer growth from within turning your negativity into positivity. That’s the name of the game baby! A true entrepreneur REGARDLESS of what they choose to do to be successful will have mentors .. Warren buffet, Bill Gates, Steve Jobs, Mark Zuckerburg etc. at the end of the day the name of the game is changing and being a better person you were before to receive blessings GOD has in store for you. if WWDB Or Amway can help AWESOME if not AWESOME they remain indifferent. People are always on different steps in the life… truck is turning negative self talk and letting yourself be less of a judge and more of a student. I hope you all find positivity and let someone voice their opinions NOT facts. Every experience is not the same every opinion is not the same. My wish to anyone who reads this.. MAY YOU BE BELSSED BEYOND BELIEF NO MATTER WHATBYOU DO and may you unlock the prison you call your brain. May your god show you the way.